Our hotel creates a culturally refined, meaningful, and stimulating atmosphere that inspires our guests to celebrate the beauty of the moment and the possibilities for insight that live within everyday occurrences. Overlooking the city, 374 spacious guest rooms and suites feature our signature Luxury Collection beds and all the amenities needed for a restful and pleasurable stay. Subtle works of local art, handcrafted accessories, and original antiques combine with refined fabrics and 21st-century amenities—such as wireless High Speed Internet Access and a flat screen television—to create an ideal in-room setting for those who have a passion for art, architecture, and design. 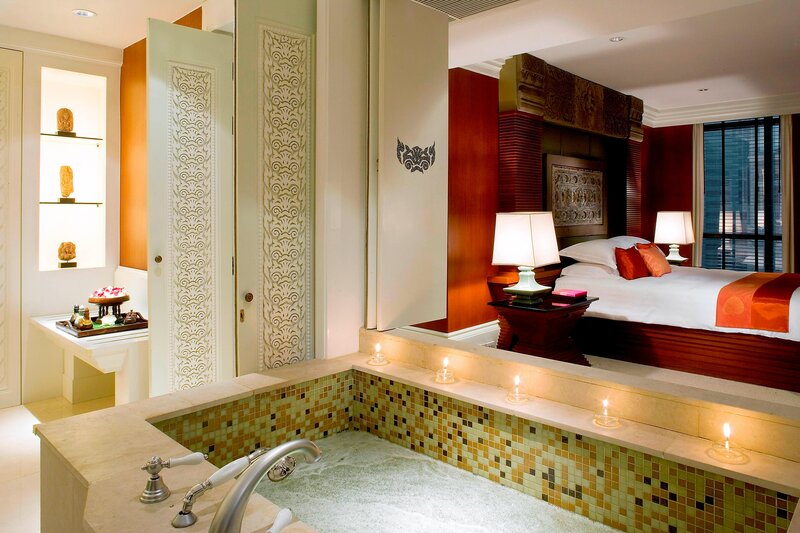 Personal comfort points are equally thoroughly covered by our optional Athenee Butler service.